Perfect opportunity to own a beautiful block home in Orange City featuring a brand new roof and a huge fenced backyard. 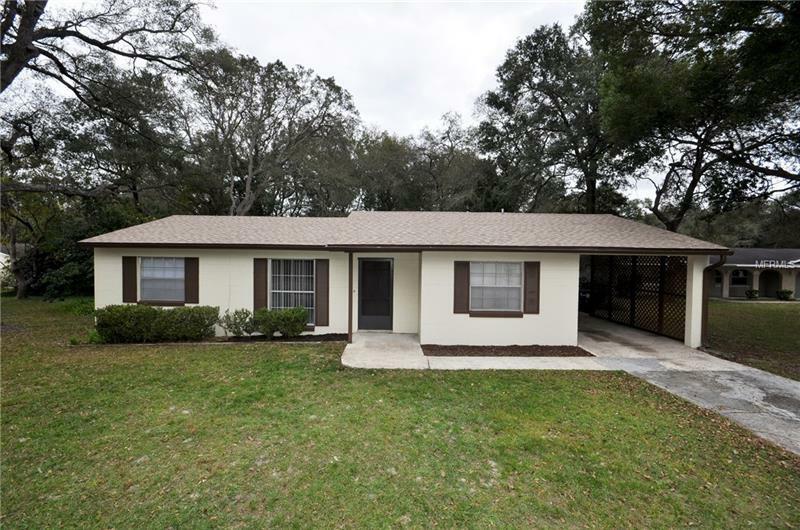 This two bedroom, two bath home with carport features brand new carpet in both bedrooms. Ceramic tile throughout the home in the main living areas including the kitchen. Over sized 19' X 6' laundry room with brand new flooring and is absolutely perfect for additional storage. The screened patio overlooks a huge backyard and a large shed with electric that is perfect for storing all of your lawn equipment and tools. The backyard is huge and has room for a pool with plenty of space remaining for playground and pets. Home also includes a brand new professionally installed electrical panel and also new paint. Don't miss this opportunity. Call today to schedule a showing.